Did You Hedge Too Early On Betfair Yesterday? Well Done! Patience when trading on Matchbook or Betfair may be a virtue. But do you miss out on profitable trades? My first call today was about why it is so important to hedge. He is a professional Betfair trader who has been a friend since well before Betfair. We talked about, amongst other things, patience. He hit 20 out of 25 winning markets yesterday. He’s a perfectionist who is never satisfied. But today he still complained about how he hedged too early and if he’d been more patient he would have hit 25 winning markets. Since I only autotrade – I hate having to hedge manually – my job during those conversations is never to offer my personal views but to basically be his therapist, keep his mind focused on the next trade and most importantly never, ever let him think that he should change his ways. While he deserves complete credit for his brilliant fundamental trading selections I take a small measure of pride in knowing that my emphasis on posture and tactics helped guide his ideas to profit so many times over the past few years. That’s because as someone who is an autotrader who trades price action rather than fundamental selections, I have learned the very hard way that patience in trading is as much a vice as a virtue. After thousands of trades and decades of screen watching on Betfair and other markets I have concluded that there are only two ways to make money in the betting exchange markets. You can be patient with your entries or you can be patient with your exits – but you can’t be both. A hedge always helps too. 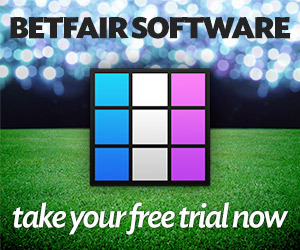 My Betfair autotrade structure is based on the way I used to trade manually. I always let price come to me. Indeed, everything I do revolves around being patient about price entry. The more selective on price I am the better I trade. This is a lesson so burned into my mind by betting exchange experience that I literally never question it. Do I miss out on profitable trades? Absolutely. Does it matter? Not at all. I can miss out on 10 great trades, but as long as I avoid a big loser I am way ahead. Like an insurance company I would rather pass up on underwriting a group of healthy men if I can avoid insuring someone in the group who contracts an incurable disease. Which brings me to impatience. It’s one of the most overlooked skills in trading. How many times have you been in a trade and something just didn’t seem right? It didn’t move your way or only moved partially and stalled or moved against you then came back to a small profit and just hung there. Nine out of ten times you probably let the idiotic belief in “patience” override your instincts. And maybe, just maybe, you were proven right. Holding that position ultimately proved profitable. There was one time when you could have gotten out even or at a small loss, or even let the market go inplay with a view to trading out for less of a loss. But instead you held on and BOOM! You lost a chunk of money. That’s right. Many times the market actually punishes rather than rewards patience. So when I was younger I learnt to wait and let the price come to me and then once it does I would let them go quickly – win, lose or draw with a hedge. So what does this have to do with my friend? Well, just like my betting exchange trading tactics I have helped him develop an appreciation for letting the price come to him and once it does, to consider booking profits even if there is more meat on the bone. Maybe don’t be too patient? There are 145 Guests online and 84 Members Logged In currently reading JuiceStorm.com. Welcome everyone. Join TradeChat for a chance EVERY month to win a year's subscription to TradeSelect - worth £600!